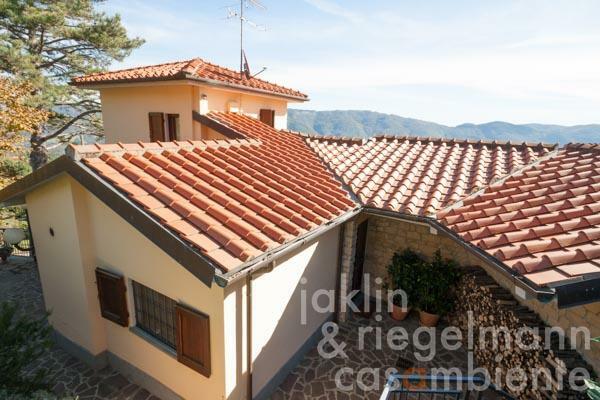 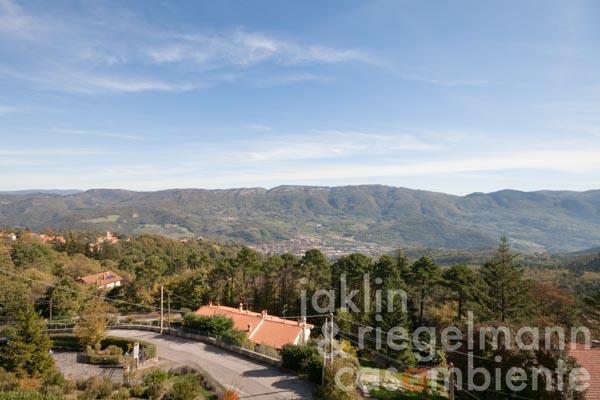 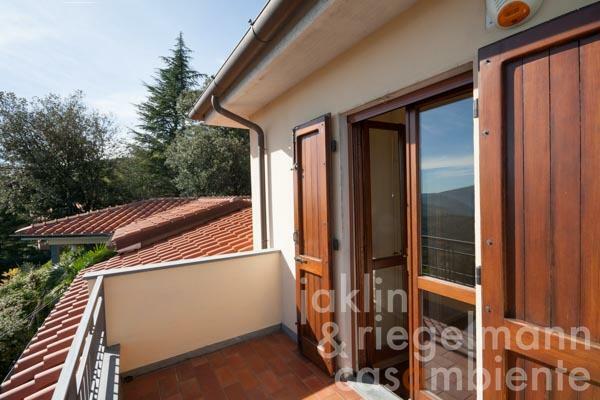 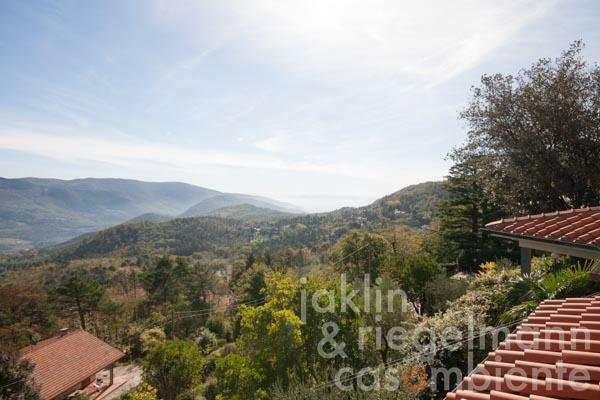 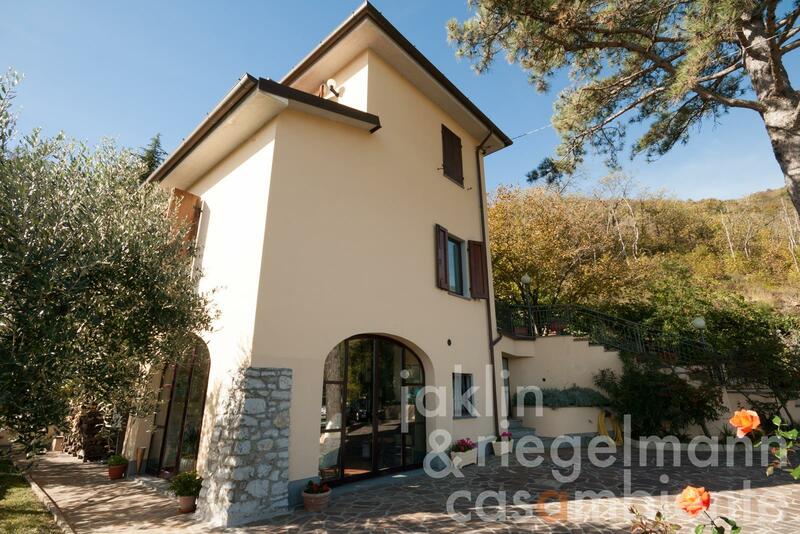 This fine small villa with a well-kept plot of land and old trees is situated in a wonderful quiet and panoramic position. The whole property is in excellent condition. The villa was completed in 2002, is very solidly built and stretches over 3 levels. 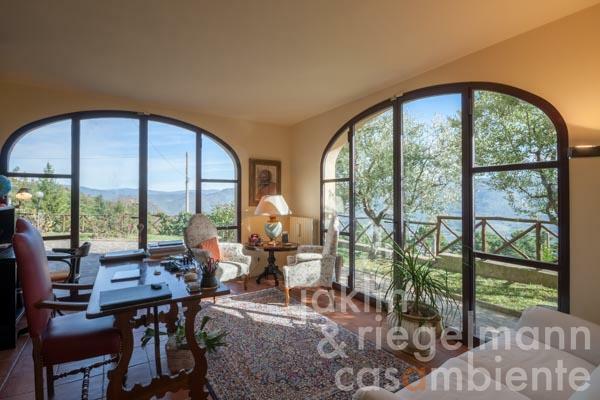 On the ground floor, accessible from the driveway, we find a very beautiful studio with large arched windows and a wonderful view of the hills vis-à-vis. 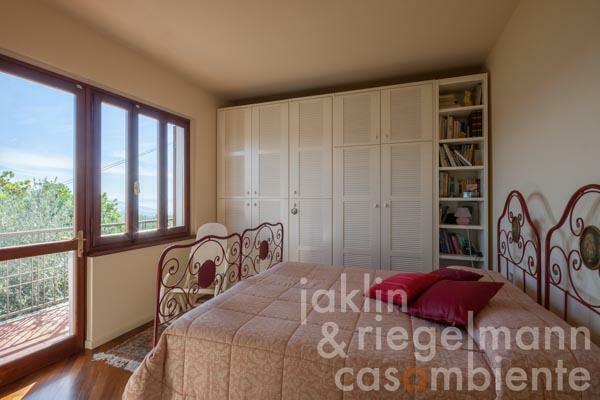 This room is directly accessible from the garden. 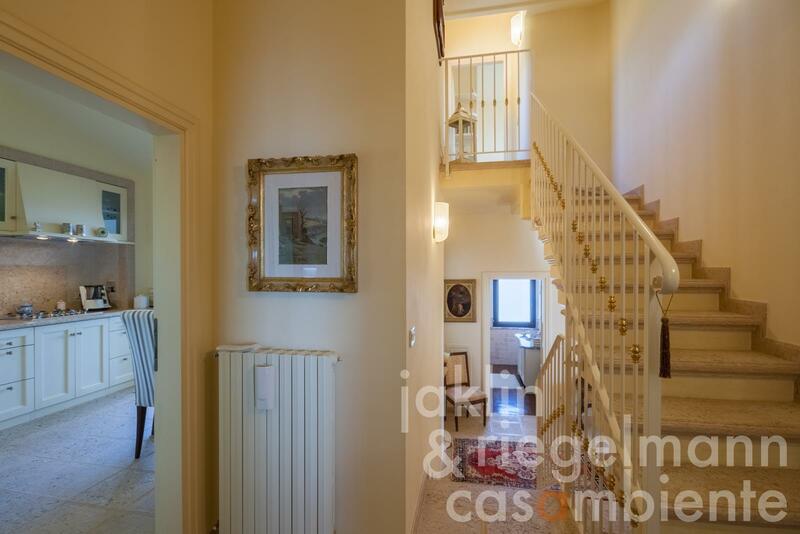 On the same level there is also the entrance area, a bathroom, several utility rooms and a staircase to the first floor, which is the main living area. 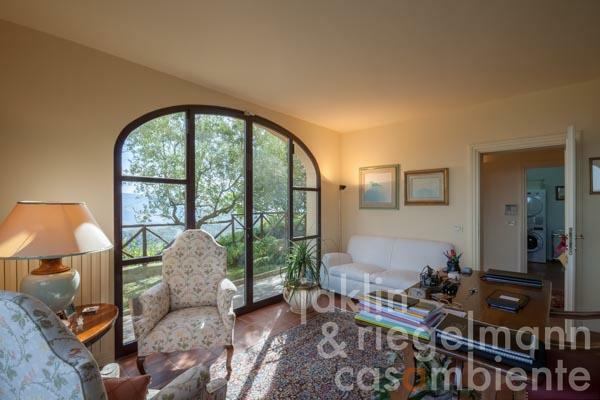 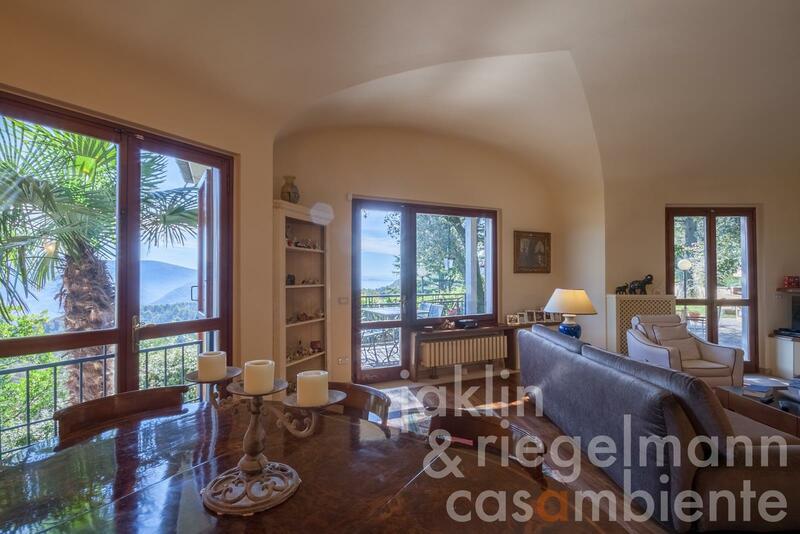 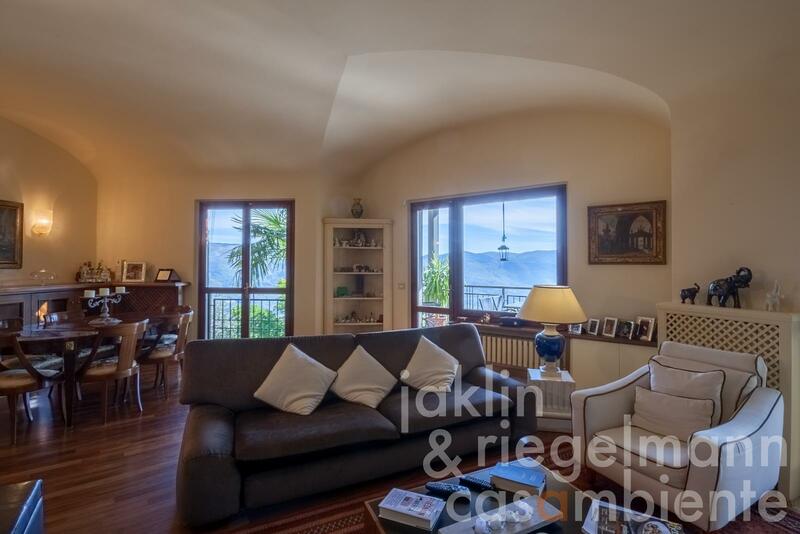 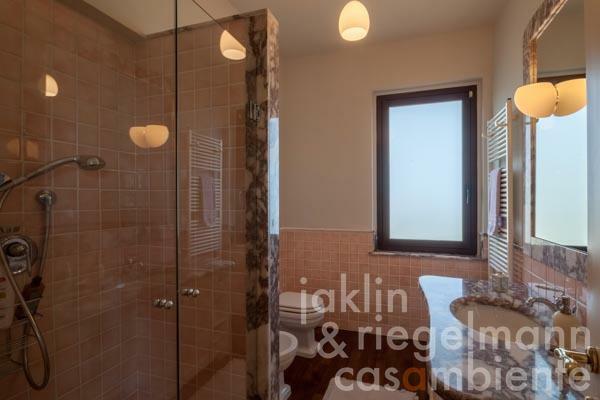 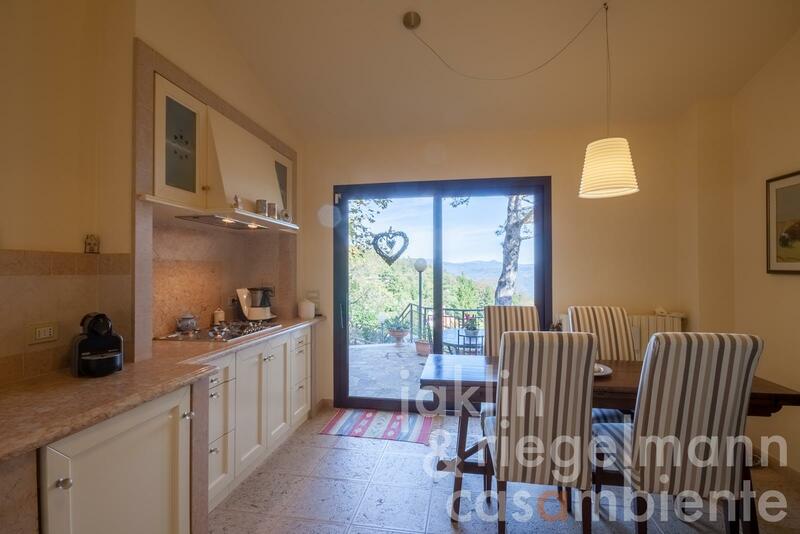 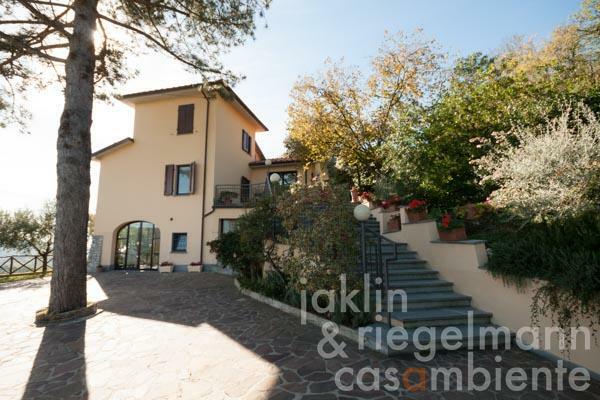 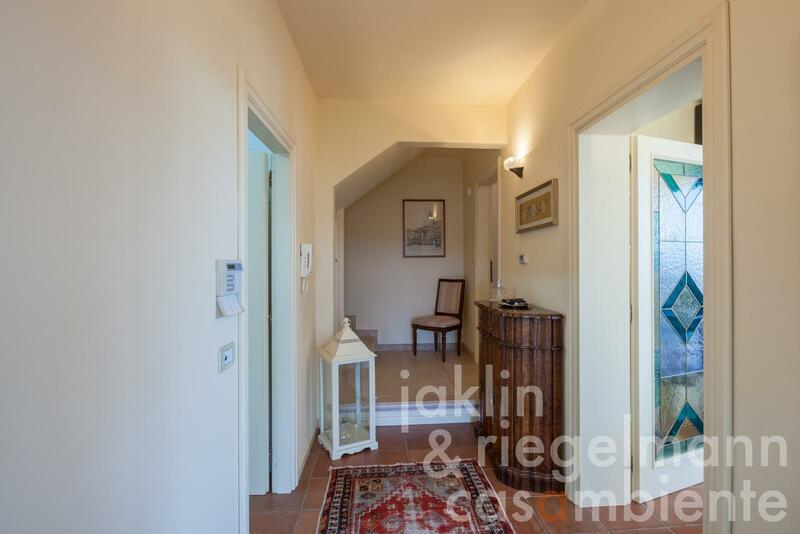 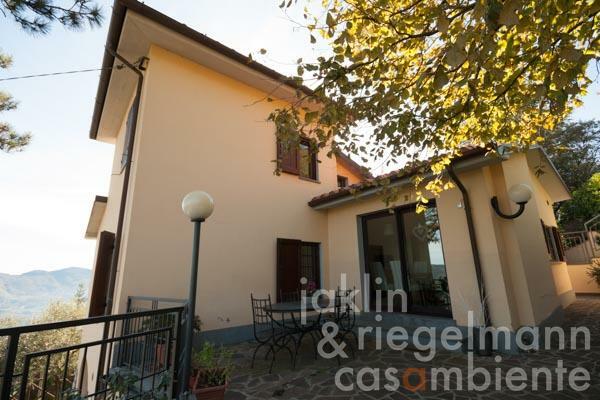 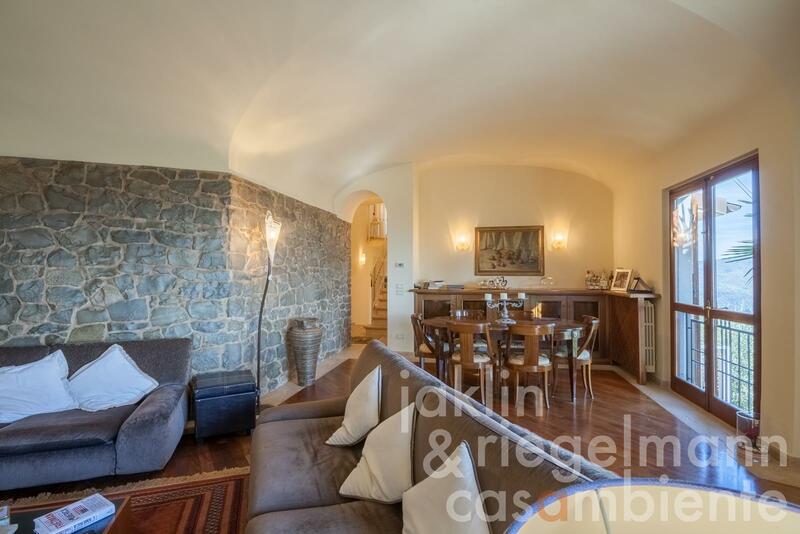 There is a spacious kitchen, a large living room with fireplace and loggia, a bathroom and two bedrooms, one of it with balcony with the same gorgeous views. 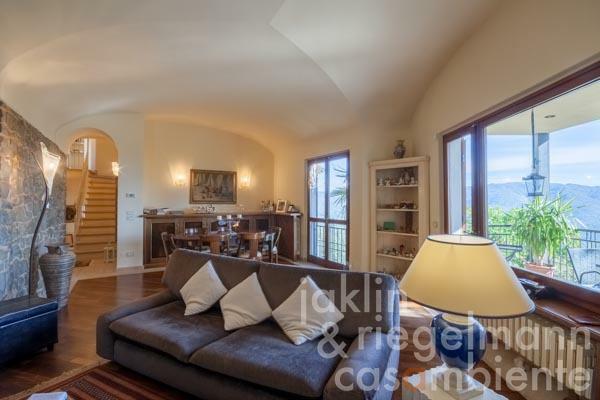 This floor also has its own entrance. 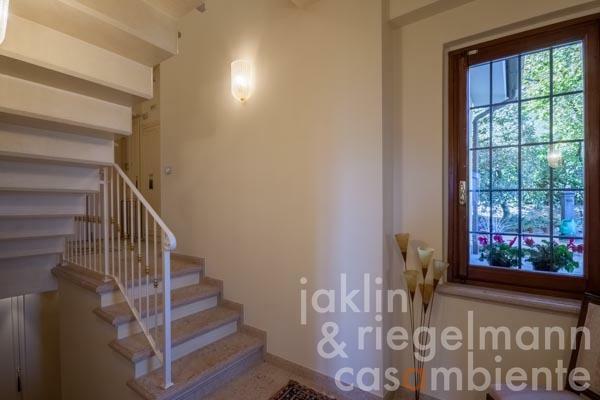 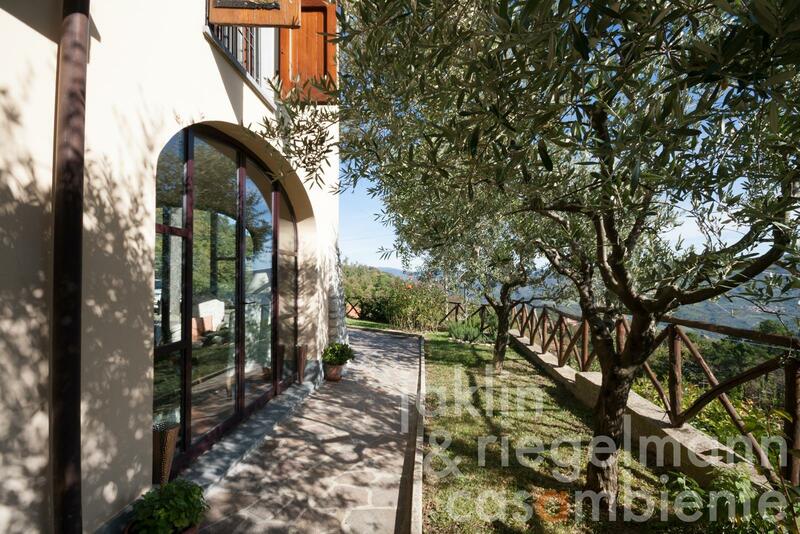 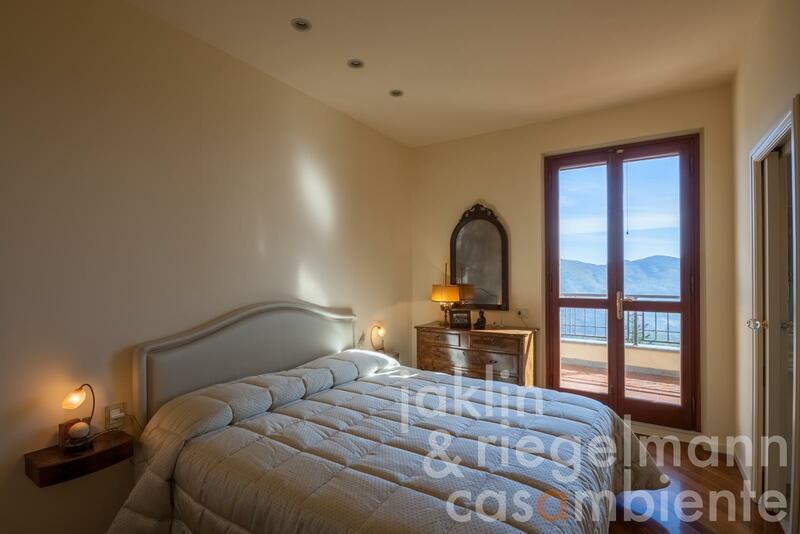 A further staircase leads to the top floor with a third bedroom, a bathroom and a terrace with an incomparable view. 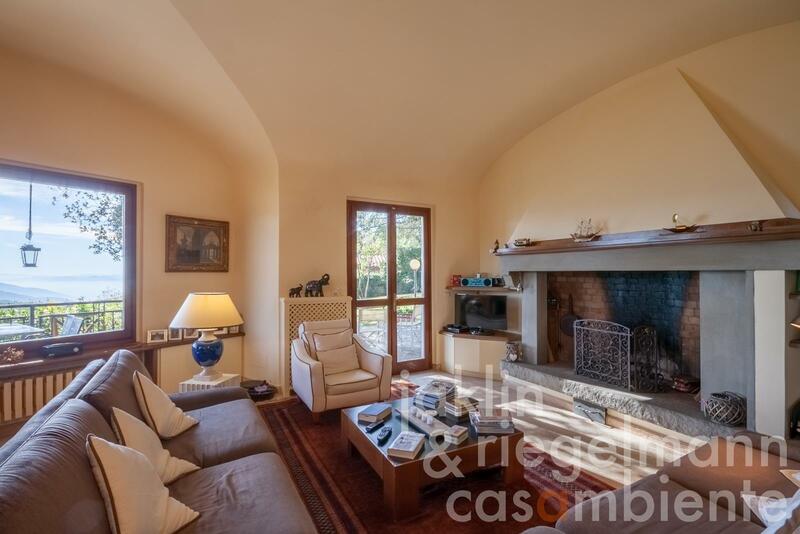 The property is completely fenced in and has two entrances, one with automatic gate. 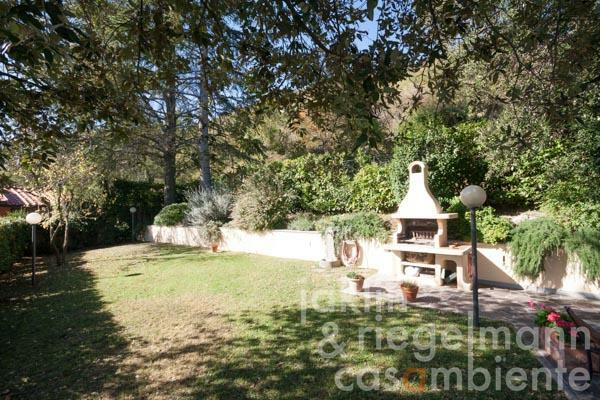 There is enough space on the property to park several cars. 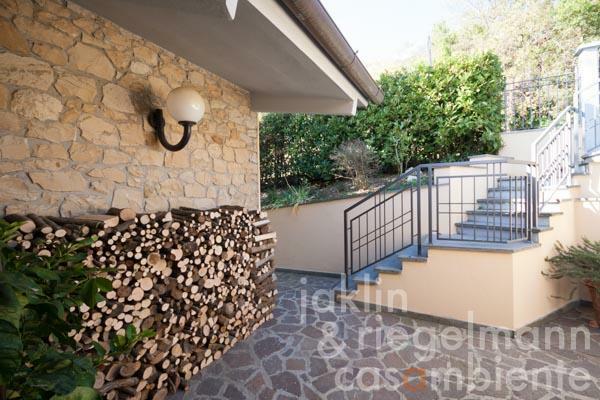 There is also sufficient covered storage space for the firewood. 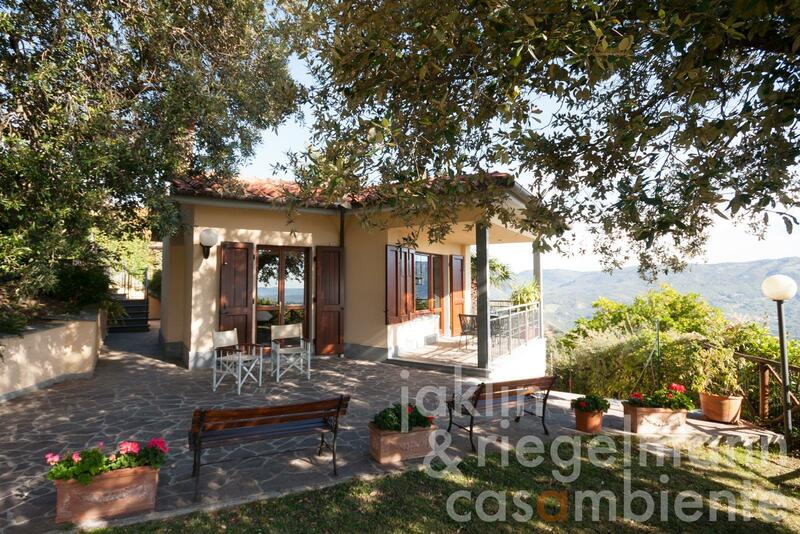 The property also includes a small garden house for storing equipment and summer furniture. The current owners have created a very attractive, high-quality refuge here, which offers a high living and recreational value. 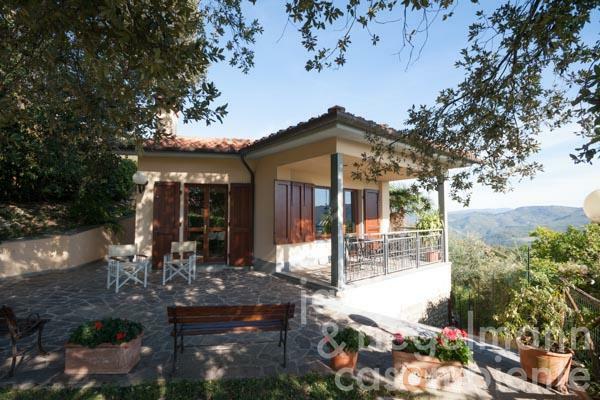 Due to its unique location, the property is suitable as a main residence as well as a holiday home. 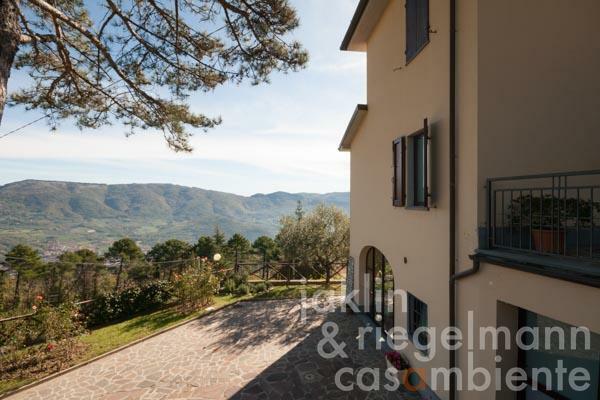 It is close to nature, and yet you can reach Prato and the greater Florence area in a few minutes by car. Italy, region Tuscany, province Prato. 1,140 m² garden with barbecue. Electricity, mains water, central heating, fireplace, gas connection, broadband internet access, satellite-TV, automatic gate, alarm system, balcony, private parking, terrace, garden.